Eclogues (1319–1320) first published 1719. "Life of Dante", Chapter I of Dante, by Margaret Oliphant Oliphant, 1877. The Earliest Lives of Dante, translated from the Italian of Giovanni Boccaccio and Lionardo Bruni Aretino, by James Robinson Smith, 1901. 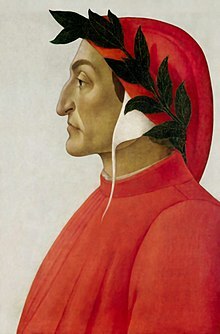 "Dante," by Alfred Joshua Butler in Encyclopædia Britannica (11th ed., 1911). Dante, by Margaret Oliphant Oliphant, 1877.